Stood up to the Trump Administration’s efforts to make massive cuts to EPA’s budget. Voted to ban fracking in the Delaware River watershed. Stopped further leasing of state parks and forests for oil and gas drilling. Put new rules in place to reduce air and water contam-ination from fracking, including the first state action to stop oil and gas pollution that is destroying our climate. A New Voice We Need in Harrisburg: Danielle Friel Otten became a community leader when an oil and gas company decided to build a gas pipeline through her backyard without considering the risks to her family and community. Her tireless work to protect Chester County makes her just the kind of new leader we need in Harrisburg. 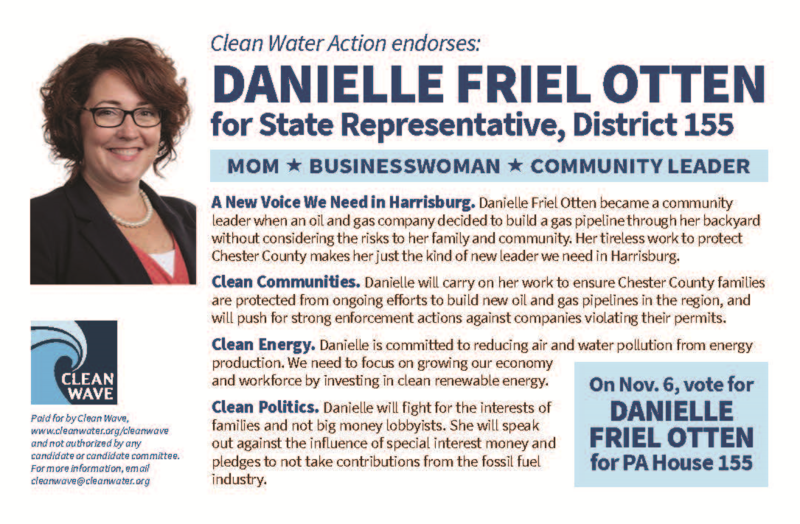 Clean Communities: Danielle will carry on her work to ensure Chester County families are protected from ongoing eff orts to build new oil and gas pipelines in the region, and will push for strong enforcement actions against companies violating their permits. Clean Energy: Danielle is committed to reducing air and water pollution from energy production. We need to focus on growing our economy and workforce by investing in clean renewable energy. Clean Politics: Danielle will fight for the interests of families and not big money lobbyists. She will speak out against the infl uence of special interest money and pledges to not take contributions from the fossil fuel industry. 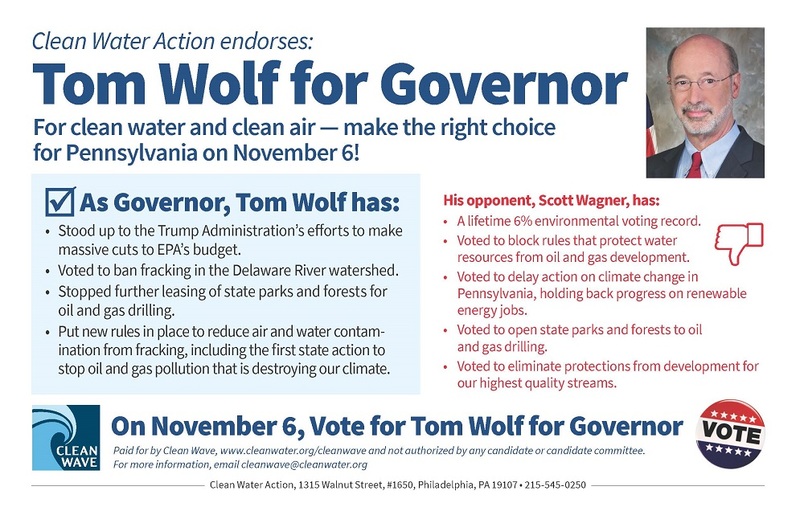 In just two years, Carolyn Comitta has demonstrated the kind of state legislator she is when it comes to protecting Chester County’s air, water, and health. With a 100% environmental voting record, she is a leader in efforts to protect the region from the many oil and gas pipelines being built. Carolyn Comitta is an independent voice that residents can rely on to put their interests first. Protecting Our Communities: Carolyn Comitta has held numerous public meetings to ensure residents are aware of the safety and environmental issues from oil and gas pipelines in Chester County. Government must be open and transparent when it comes to the health and safety of residents. Protecting Our Air, Water, and Land: Carolyn Comitta has consistently voted to stop legislation that would allow the oil and gas industry the ability to regulate themselves without independent oversight. 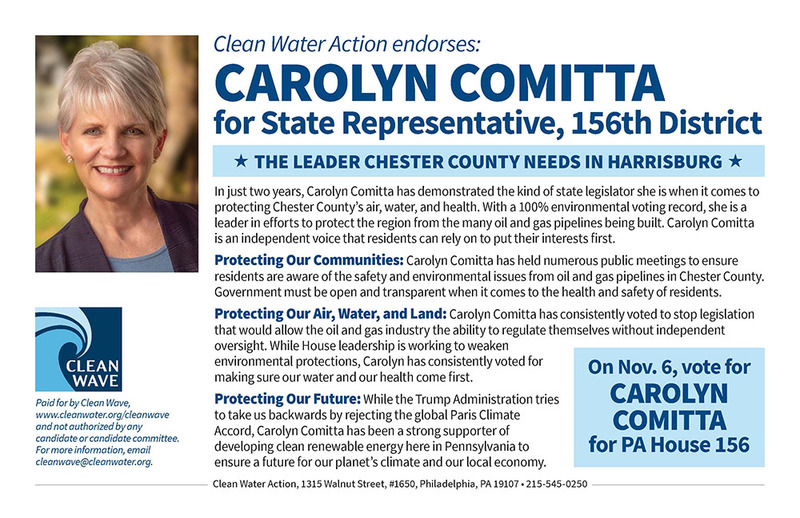 While House leadership is working to weaken environmental protections, Carolyn has consistently voted for making sure our water and our health come first. Protecting Our Future: While the Trump Administration tries to take us backwards by rejecting the global Paris Climate Accord, Carolyn Comitta has been a strong supporter of developing clean renewable energy here in Pennsylvania to ensure a future for our planet’s climate and our local economy. State Senate District 1 — Stephanie Chang. State Senate District 6 — Erika Geiss. State Senate District 7 — Dayna Polehanki. State Senate District 10 — Henry Yanez. State Senate District 11 — Jeremy Moss. State Senate District 23 — Curtis Hertel Jr.